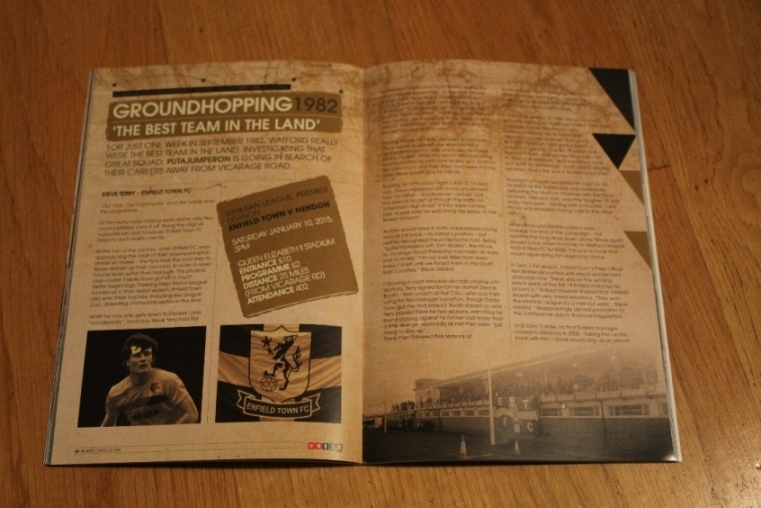 “Our Club, Our Community” read the words atop the programme. Of the many clubs making such claims, very few could justifiably carry it off. 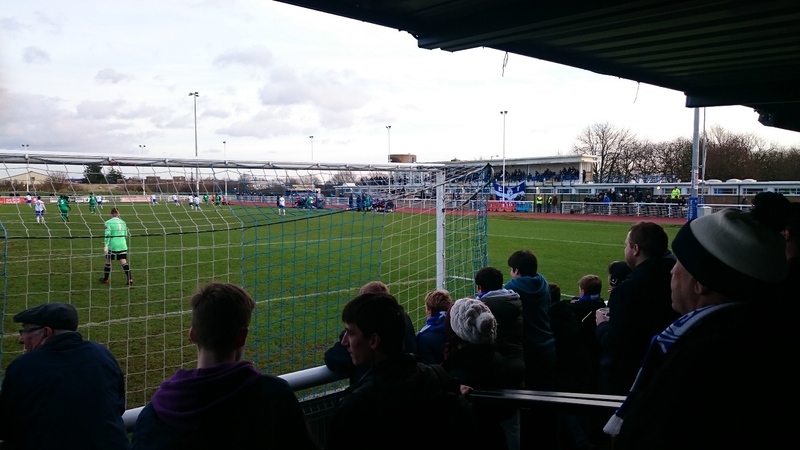 Being the original supporter run club however, Enfield Town FC need no such reality checks. 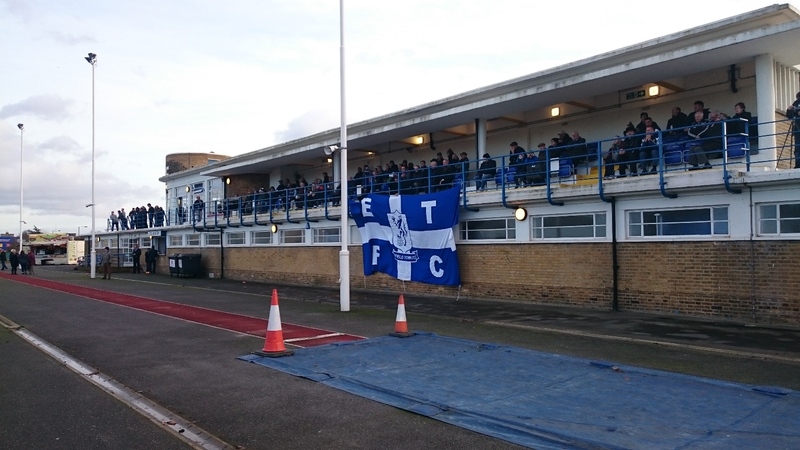 At the turn of the century, when Enfield FC were approaching the nadir of their downward spiral – almost en masse – the fans took the bold step to leave and set up their own club, in order to keep a local team within their borough. This phoenix club couldn’t really have got off to much better beginnings. 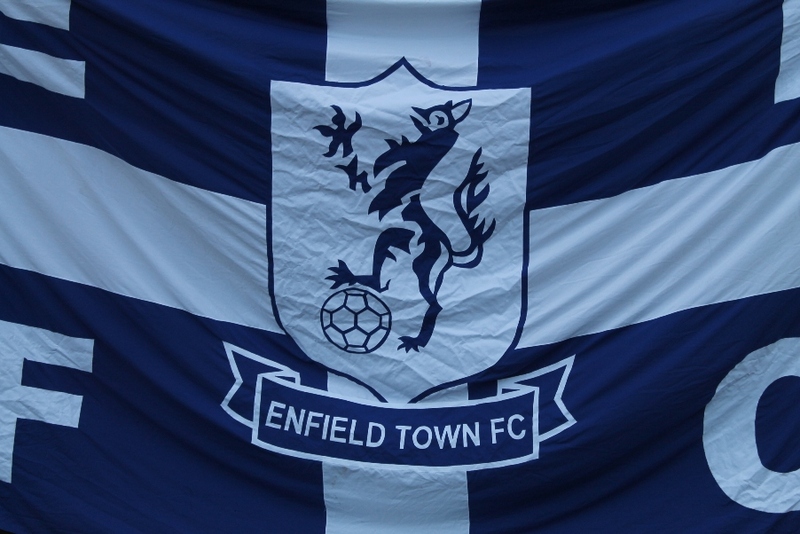 Finishing Essex Senior League runners-up in their debut season, Enfield Town also won three trophies, including the League Cup, defeating champions Leyton in the final. Playing initially for his Riversmead School side, Steve would eventually be selected for a Hertfordshire county side which also featured Kenny Jackett. Whilst this would ultimately bring his introduction to both Tom Walley and Watford, first Tottenham and then West Ham were the big sides Steve would play for initially. Training on a Thursday night (as a 12 -13 year old), Steve explained with some amusement how his father – a policeman – would “put the siren on to get us through the traffic on Tottenham High Road” if they were running late. A year later he was doing the same at The Boleyn Ground. As fate would have it, both clubs played young Terry at full back – his father’ position – but neither recognised the potential he had. Being “quite impressed with Tom Walley”, the move to Vicarage Road thereafter had been an easy one to make. “I’m not sure West Ham even knew I’d left until we faced them in the South East Counties” Steve added. Following a most enviable decade playing with Watford, Terry signed for former Hornet Dennis Booth – then coach at Hull City – who was then vying for the manager’s position. Though Eddie Gray got the nod instead; Booth stayed on and Terry played there for two seasons, admitting he found playing against his former club more than a little strange, especially as Hull then were “just trying to stay up”. There then followed five seasons at Northampton Town – bringing him back closer to home and family – before he finally had to engage fully with a world outside of professional football. 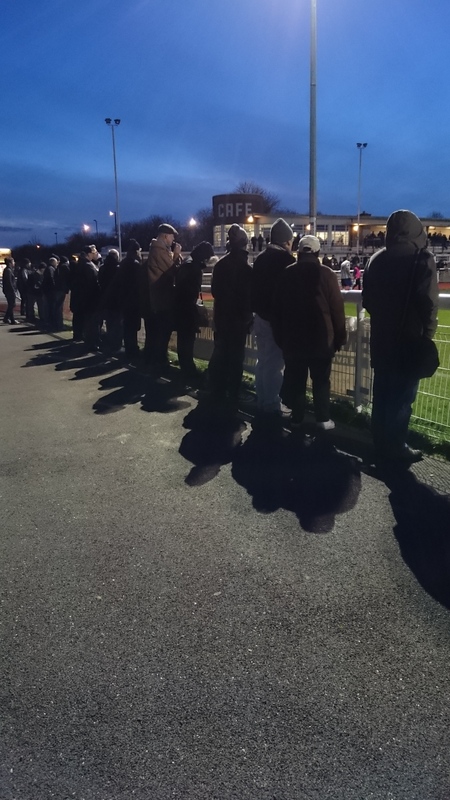 When Price and Walton parted ways – towards the end of the campaign – not wanting the long drive down alone, Steve again moved back closer to home, to Walton’s league rivals Enfield FC for £500. This was a move that would again bring him legendary status. In Terry’s first season, Enfield Town’s Press Officer, Ken Brazier recounted with equal amazement and pride how “Steve was on the winning side in each of the first 14 Enfield matches he played in.” Enfield however finished that 1994-95 season with very mixed emotions. “They won the Isthmian League by a mile but were”, Steve added, “disappointingly denied promotion to The Conference due to financial irregularities”. Until Gary Calder, his final Enfield manager, moved to Billericay in 2000 – taking the centre back with him – Steve would play as an almost ever-present for a “really good” Southbury Road outfit, amassing 210 games for the club and bagging 24 goals. It was meant to be for longer but after leaving, Terry would play just one minute more in an Enfield shirt, in a testimonial game Graham Taylor’s Watford. 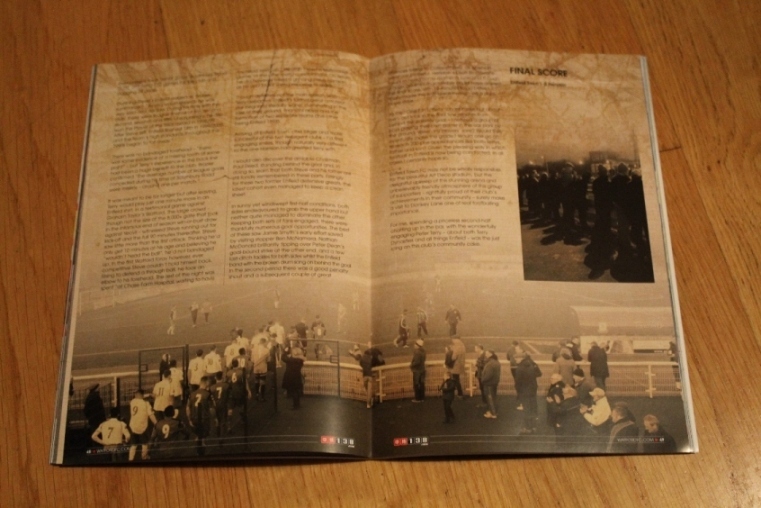 The large crowd – though not the size of the 8000+ gate that took in the infamous end of season win-or-bust draw against Yeovil – witnessed Steve running out for kick-off and the full ninety minutes thereafter. Steve saw little more that the first attack. Thinking he’d only get ten minutes at his age and believing he “wouldn’t head the ball”, he’d not bandaged up. In the first Watford foray however, ever competitive Steve couldn’t hold himself back. Rising to defend a through ball, he took an elbow to his forehead. The rest of the night was spent “at Chase Farm Hospital, waiting to have my head sewn up.” He didn’t see his testimonial game, or the after-match celebrations. On return he did however meet a grinning Steve Harrison, as he and Taylor were preparing to leave. Though definitely not the main reason; with Terry departed, Enfield’s former great amateur star began to steadily wane, culminating in the sale of their ground, financial abyss and the formation of two separate teams (the other being Enfield 1893). Arriving at Enfield Town – the larger and more successful of the two resurgent clubs – I’d find engaging smiles, though naturally very different to the one Harrison had greeted Terry with. I would also discover the amiable Chairman, Paul Reed, standing behind the goal and, in doing so learn that both Steve and his father are still fondly remembered in these parts. Fittingly for these two former Enfield defensive greats, the latest cohort even managed to keep a clean sheet. In sunny yet windswept first half conditions, both sides endeavoured to grab the upper hand but neither quite managed to dominate the other. Keeping both sets of fans engaged there were thankfully numerous goal opportunities. The best of these saw Jamie Smyth’s early effort saved by visiting stopper Ben McNamara, Nathan McDonald brilliantly tipping over Peter Dean’s goal-bound strike at the other end and, a few last-ditch tackles for both sides whilst the Enfield band with the broken drum sang on behind the goal. In the second period there was a good penalty shout and a subsequent couple of great chances falling to Corey Whitely, all of which were unsuccessful. 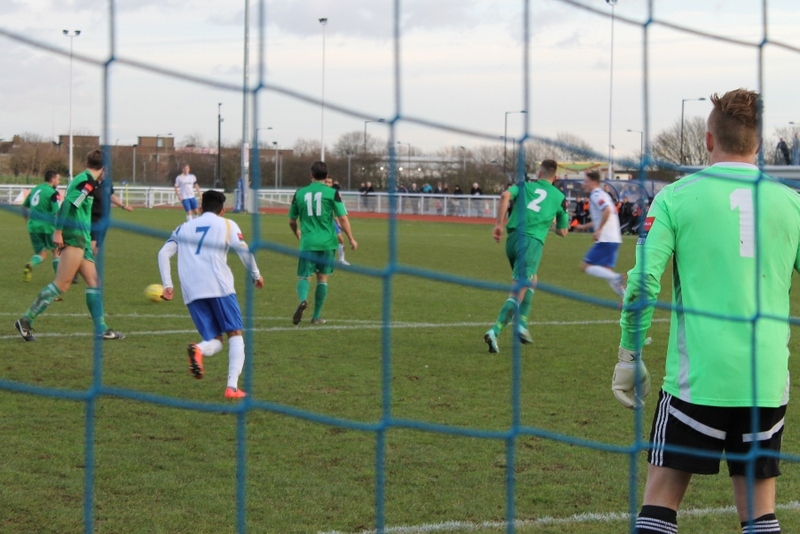 Hendon’s Elliott Braithwaite failed to head home moments later and though a huge goalmouth scramble could have altered the final score, with ten minutes to go Enfield finally made the only breakthrough via a Liam Hope strike. 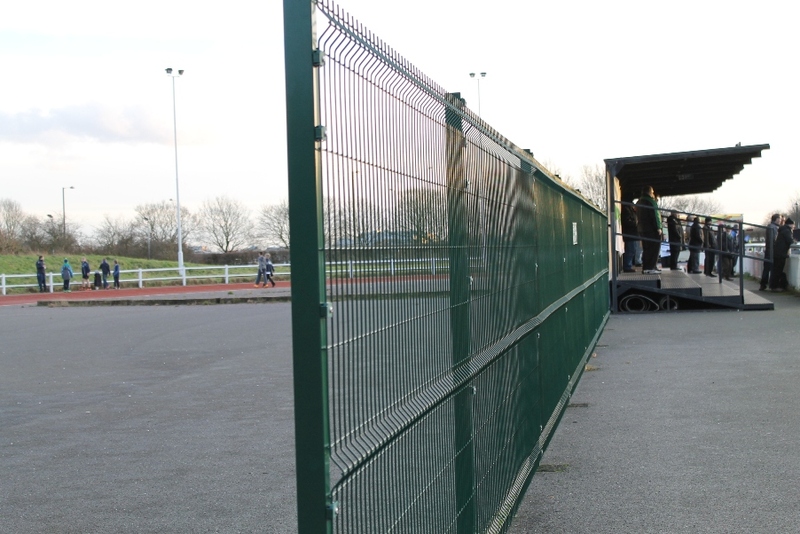 As the “One F in Enfield” chant broke out about me – whilst I took in the final few minutes from behind the easterly goal – I noticed a group of boys playing their own game in the car park by the ground. Were any player’s sons? Would they eventually make the grade? Would one go on to reach two hundred plus appearances like both Terrys, father and son? Given the pleasing way in which football in Enfield is now being conducted, in all cases I certainly hope so. 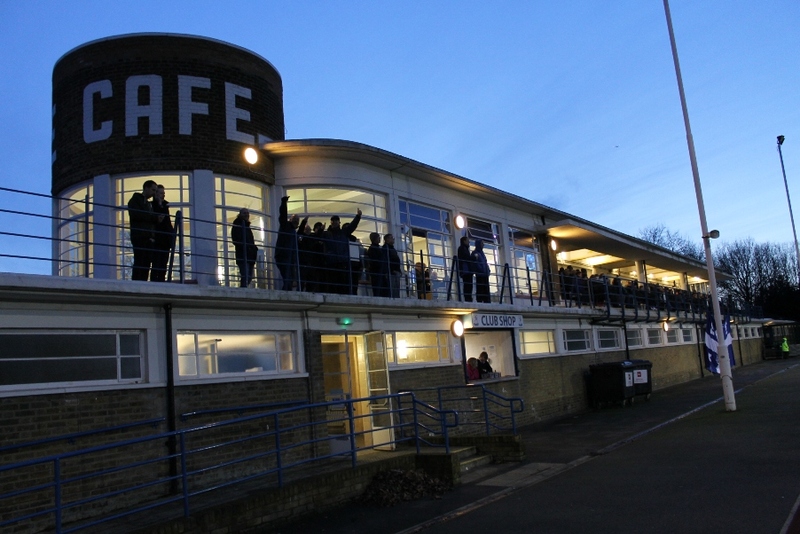 Enfield Town FC may not be wholly responsible for the beautiful Art Deco stadium, but the delightful upkeep of this stunning arena and unbelievably friendly atmosphere of this group of supporters – rightfully proud of their club’s achievements in their community – surely make a visit to Donkey Lane one of real footballing importance. 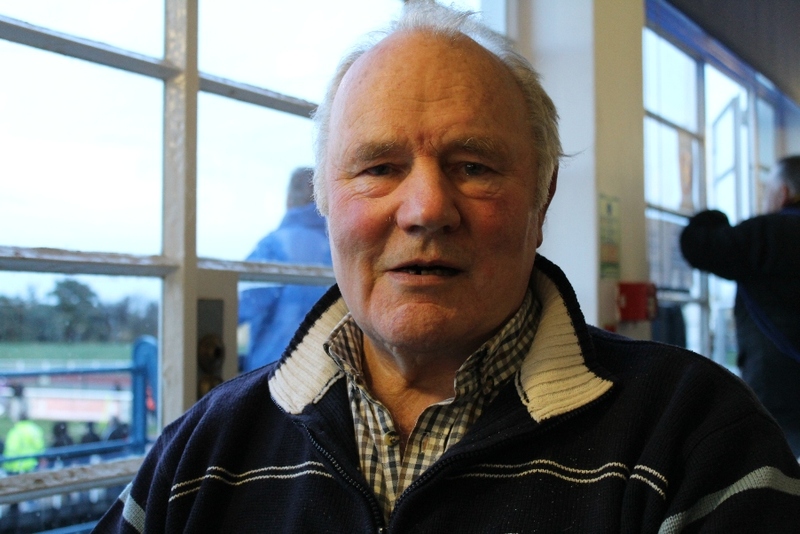 For me, spending a priceless second half chatting up in the bar, with the wonderfully engaging Peter Terry – about both Terry Dynasties and all things Enfield – was the just icing on this club’s community cake. This entry was posted in #WFC1982, 2014-2015, Isthmian League and tagged Donkey Lane, Enfield, Enfield FC, Enfield Town FC, Hendon FC, Hertfordshire, Isthmian League, Peter Terry, Premier Division, Queen Elizabeth II Stadium, Queen Elizabeth Stadium, Riversmead School, South East Counties League, Steve Terry, Watford FC. Bookmark the permalink.